A $4 million sporting facility, the Boulia Sports & Aquatic Centre features an airconditioned indoor sports hall incorporating basketball, netball, badminton and volleyball courts. The complex also houses two squash courts, gym and a cinema/meeting room. A 25m pool, along with a children's playground and BBQ area, complement the adjacent sports oval and tennis courts. 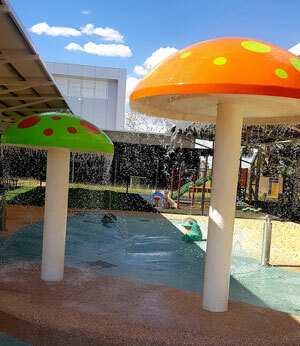 The centre is adjacent to a water bubbler park. ​The centre is open all year round except Good Friday, ANZAC Day and Christmas Day. Many activities for the community are available. 1 month, 3 month and 6 month memberships also available. A Gym Key is available for members with a 3 month minimum membership (deposit fee applicable). If you would like to apply for a Gym Key, please contact the Council office.